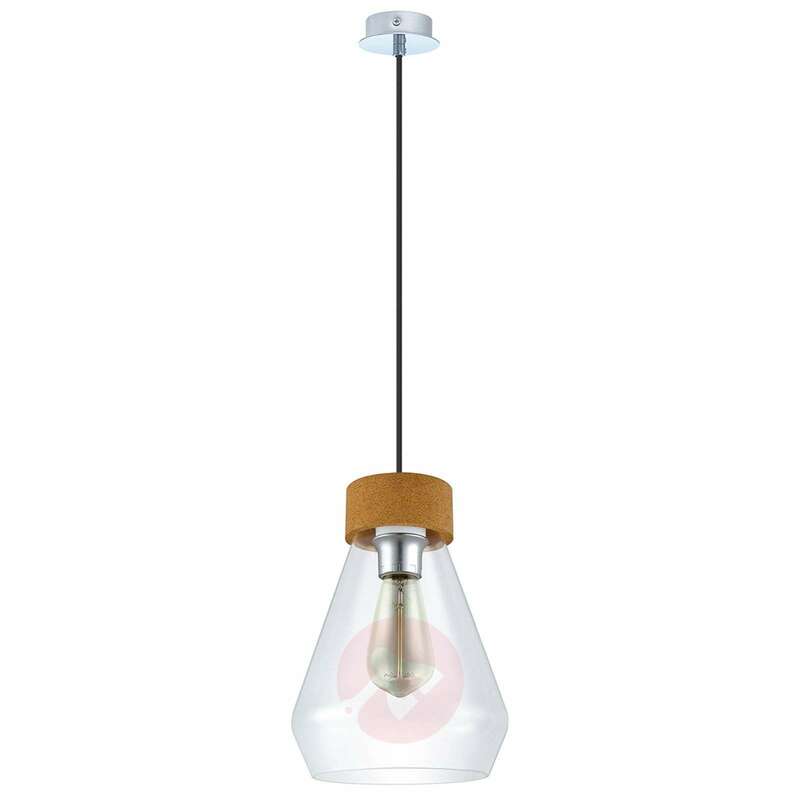 The wonderful Brixham pendant light impresses with its conical glass lampshade, which meets a socket with a cork look at the top. This socket is then connected to a cable suspension covered in black fabric. 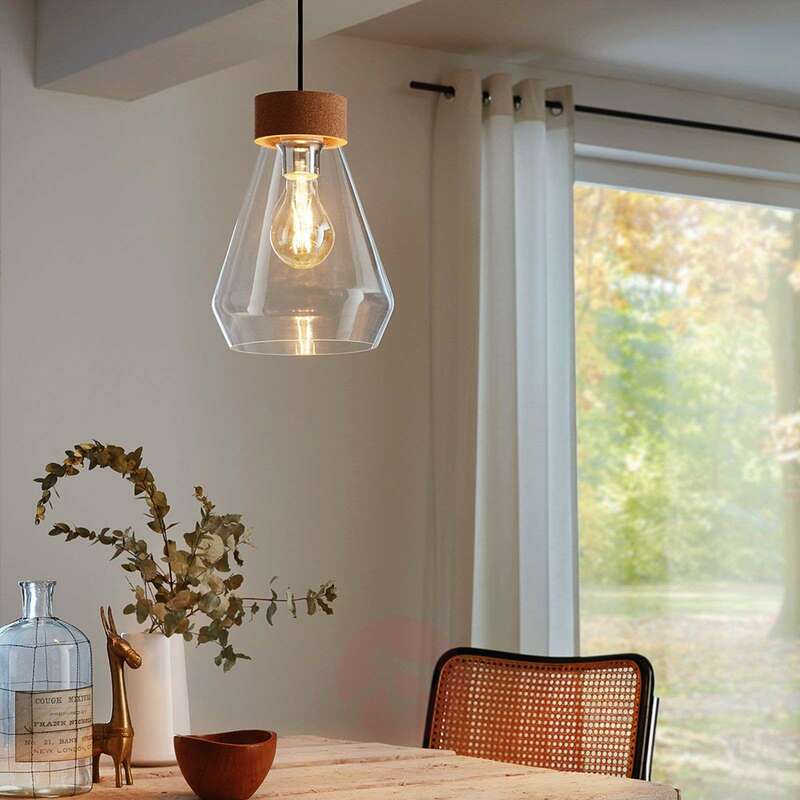 The light looks especially elegant with its chrome-plated details on the lampshade and the canopy. 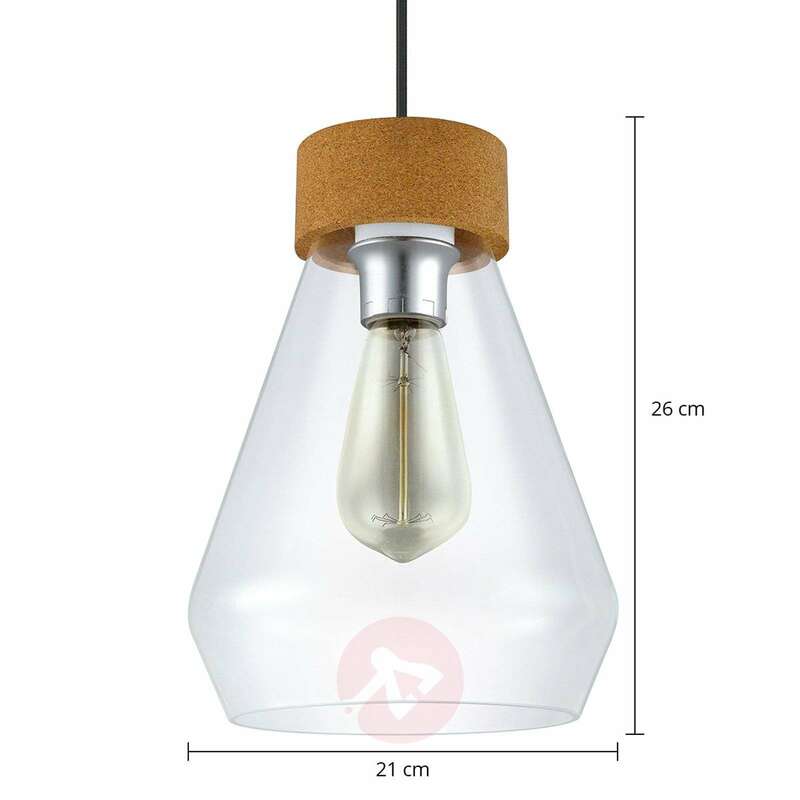 The fact that you can see the bulb when viewing the light means that you should opt for a decorative and rustic light bulb or something similar. 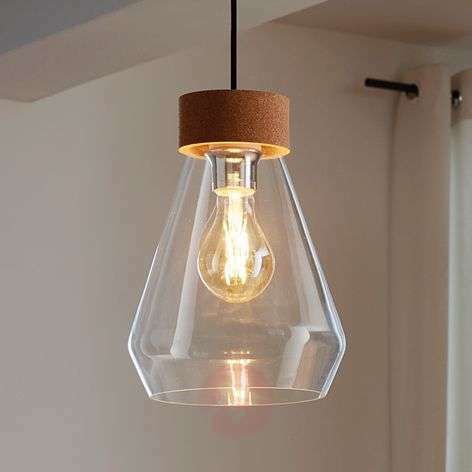 This will underline the great vintage look and complete the appearance.